Fermentation may sound like something you’d learn about in science class, or else something to do with some suspicious moulding substance you’d rather not know about, let alone slather all over your skin. 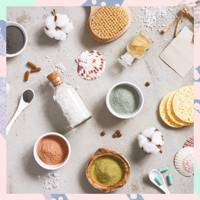 But recently we’ve seen the rise of fermented beauty, which calls upon the numerous benefits of the fermentation process to provide some impressive beauty benefits. The process goes like this; the ingredient is soaked in a solution to allow bacteria to grow. The bacteria then breaks down the sugars within the ingredient resulting in a number of effects. In fermented foods, like sauerkraut, yogurt and kimchi, the lack of sugar gives a tart, funky flavour and the beneficial bacteria boost gut health, making fermentation a bit of a wellness buzzword. So, how on earth does this apply to our beauty products? Well, one all-natural skincare brand is harnessing the powers of fermentation to replace traditional preservatives. “Any product that contains water – all foaming shampoos, cleansers, moisturisers and many more – need to be preserved to ensure that bacteria doesn’t spread (bacteria loves water) and that products are safe for human health throughout their shelf life," explains Sophie Thompson, founder of . "Synthetic preservatives, known as parabens (methylparaben, ethylparaben, propylparaben, butylparaben and isobutylparaben), have been linked to hormonal disruption and, in particular, breast cancer." 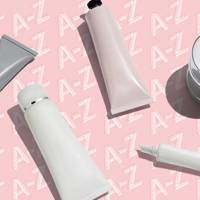 While all products on the market in the EU have been independently assessed for safety, there's still concern over the health effects of these synthetic ingredients and more and more people are opting to avoid them in their skincare. 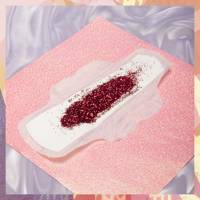 "The concern is that they are indirectly harmful to our bodies when absorbed through the skin," says Sophie. To avoid the issue of including synthetics while retaining the shelf life of their products, the brand uses a natural preservative, Radish Root Ferment, where radishes are fermented with a lactic acid bacteria called Leuconostoc Kimchii for an amazing natural alternative. 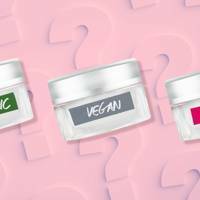 Other brands are using fermented ingredients for their superior potency and skincare benefits. contains superfood-charged fermented honey to provide superior nourishment. And while the trend is still young, we are hoping to see more fermented fancies very soon; “Fermented and probiotic ingredients are now a big thing over here, after first getting a name for themselves in Korea. One of big new claims from these brands is that fermenting their ingredients first helps the skin absorb them better. We’re testing that hypothesis out in our own formulations – stay posted for the results!”.